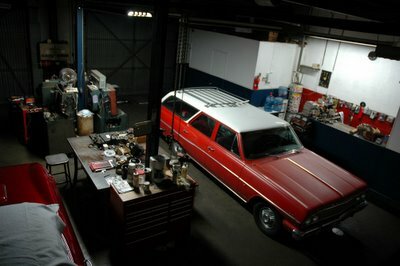 Machine Shop - Hooptyrides, Inc.
Everybody is asking, what is the big secret project? Why no updating to Hooptyrides? What could be so complex and exhausting as to command all available attention? A shop! Old hot rods and speed equipment are too expensive. Admittedly, I am a cheap and easy hustler, but by any measure, Ardun heads and 32 Fords are expensive. But, it makes sense. Hot rodding was not a SEMA megabusiness and enough speed equipment was never cast. And, increasing speed is advancing technology. Old technology was thrown away just as it is now. And the demand is huge because we all want it. And it is worth it, at some level. 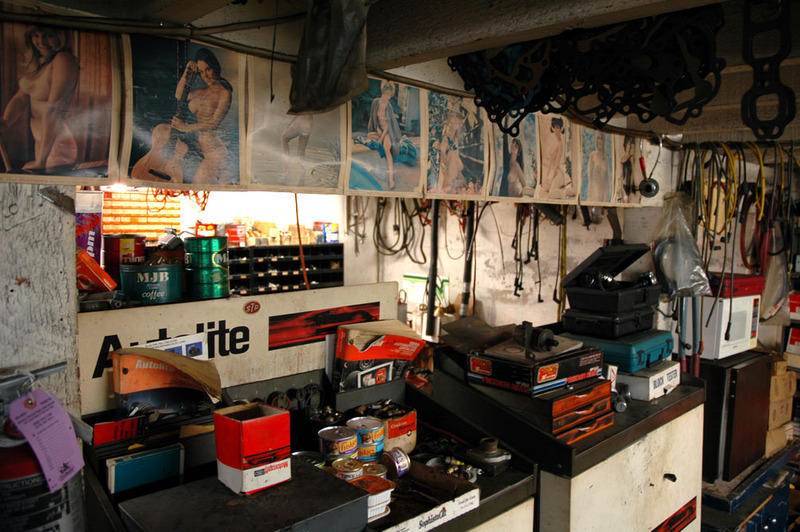 Hot rodding's place in history is cemented and the best old stuff is damned near blue chip. Hot rodding is too great, too striking, too fantastic to not be a classic and the stuff of provenence is destined for museums. But I still don't buy much. It is just too expensive. A Mercedes SSK is pretty expensive. Bugattis. Pre-war custom bodied American coupes are pricey. But it ain't like buying a hot rod shop! That is value! That is stupid! An absolutely sensible decision! Sober and calculated! Not like a $500 gauge or a $1000 manifold, this is folly on a grand scale! Located in Los Angeles, I bought a shop that I have been watching for 10 years. Over many a breakfast, I told Coop that all I needed was that dusty shop. One day he called and said there was a sign out front. The purchase, naturally, was byzantine. The owner had been operating a performance auto shop for over 40 years and closing that sort of chapter adds a dimension of complexity to the most simple deals. But, that is over, all parties are happy and it is mine. The Sun distributor machine, the Clayton Dyno, plumbed for air, the Hein Werner jacks, the two hydraulic lifts, the drill press, the band saw, the vises, the grinders, the TIG welder, the welding tanks, the trash can of fan belts, the Sun tune-up machine and a barrel of distributors. It already feels like home. Wait til I spend 1000 hours there. So, what happens next? Everything. Just everything.